. guhin kuhin gubin 狗賓 / 狗嬪 / グヒン Guhin Tengu Yokai monster .
. kishin, kijin, onigami 鬼神 "Oni Deity", "Demon Deity" .
. Yamanokami 山の神 and Tengu legends from Gifu . 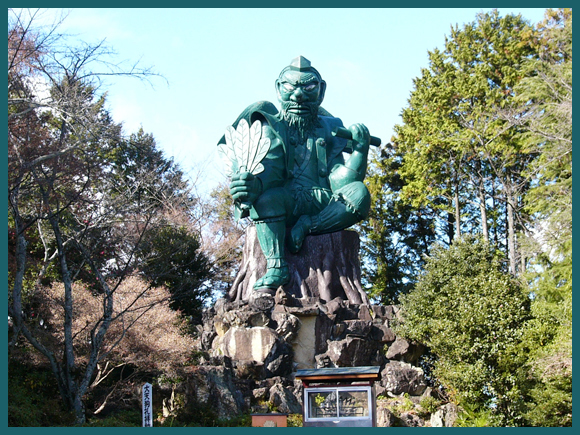 This statue is 12 m high, the tallest Tengu statue in Japan. It belongs to the sect 荒薙教 Aranagi Kyo with the main deity 荒薙大神 Aranagi Okami. Tengu is the messenger of this deity. 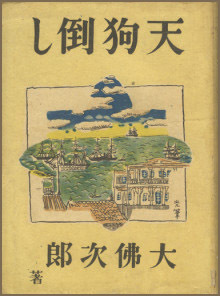 The sect of Aranagi Kyo was founded in 1900 by Toda Yoki. 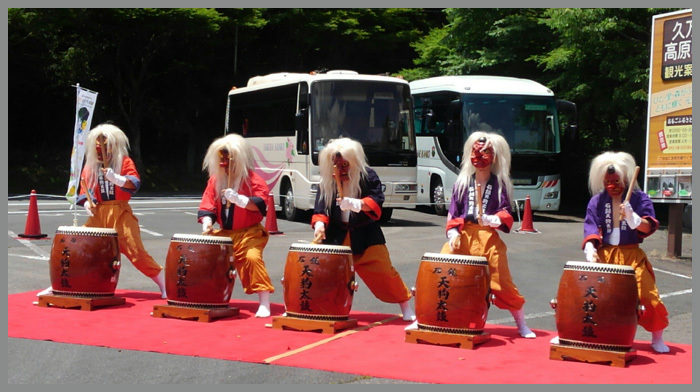 It is a mixture of Shinto and Buddhist aspects and rituals. "Tomorrow I will come and bring you to Paradise!" The next day Kannon Bosatsu appeared and took him away, in front of the eyes of his disciples. But the next day they found him hanging all naked high up in a tree! It must have been the evil deed of an old fox, badger or a Tengu ! 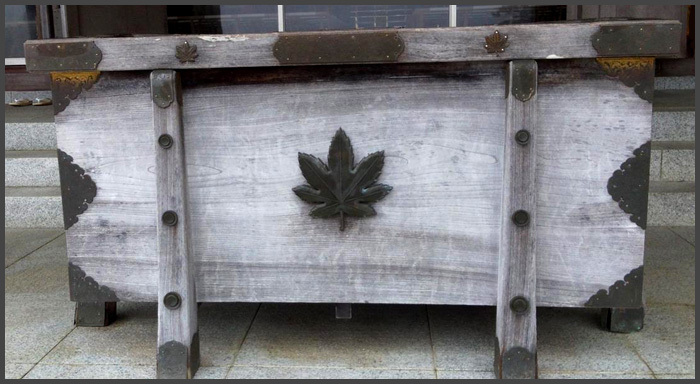 Around 1928, at the shrine 十二社神社 Junisha Jinja someone found a purse with a backbone inside. 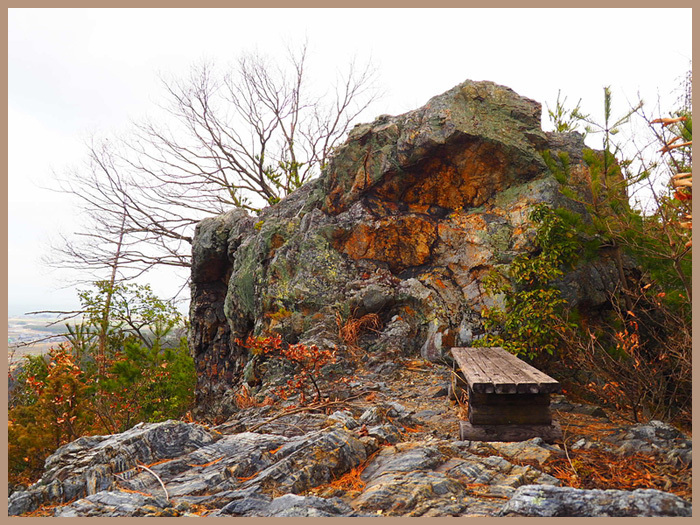 When he picked it up, there was a huge rumbling in the ground and then a large rock came rumbling down the stone stairway. 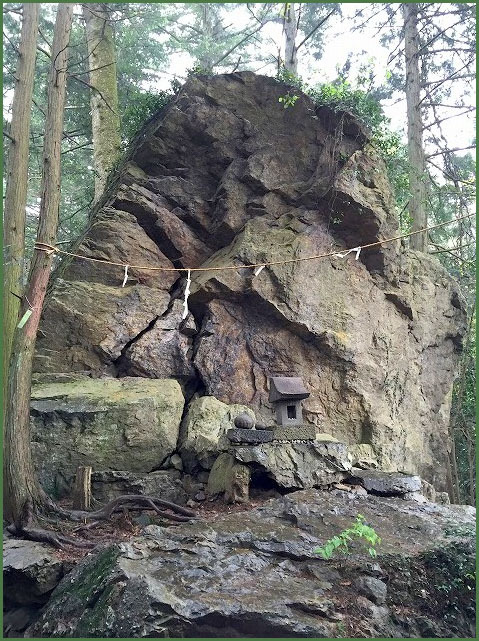 In front of the main hall there seemed to be 修験者 a mountain saint wearing a long white robe, wielding a hand fan in the form of a leaf and using a long walking staff - It must have been this Tengu who had moved the rock.
. reference source : 岐阜県神社庁 . 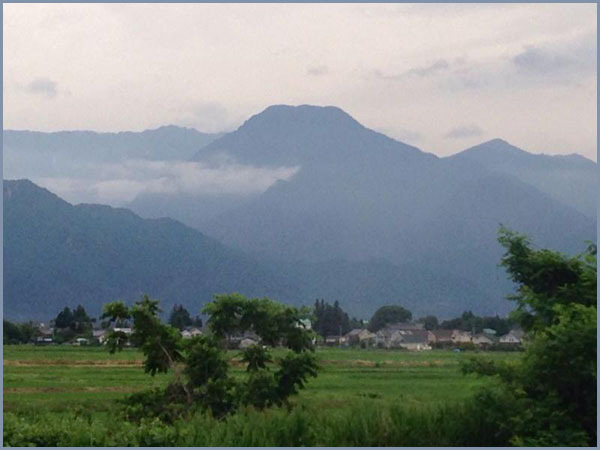 In the hamlet of 下洞集落 Shimo-Hora a man named 根の松 Komatsu went missing. The villagers said he had been abducted by a Tengu. They all went into the forest and called "Give us back Komatsu!" Eventually he came back with an innocent look, not remembering anything. There was also a 天狗松 Tengu Matsu in the village, but it has dried up now. Once a traveler stayed at a lodging in the village. At night there was a meeting of the local Tengu and he was invited to join them. He saw making another man drink 鉛の熱湯 lead in hot water. When he came home, the other traveler had not come home. He had been a man who used to brag all the time and now met his punishment. At a mountain named 橋角 there was a fir tree called お伊勢さん O-Ise San. Humans were not allowed to touch it. 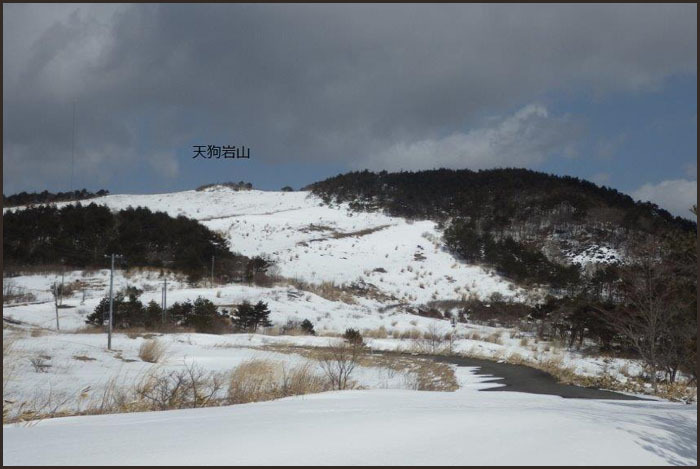 Once 浦野九一 Urano Kyuichi was collecting firewood in the forest and took a nap under the tree at lunchtime. Suddenly he heard the Tengu call him in his dream: "It's already sunset, you better get home!" When he woke up, it was indeed sunset and he hurried home, greatful! Sometimes the sound of someone cutting trees, ガラガラ garagara can be heard in the forest. This is the Tengu doing his job. In the village 春日村 Kasuga mura they needed to build a new bridge over the river and cut down 大檜と大杉 a large cypress and a large pine tree. 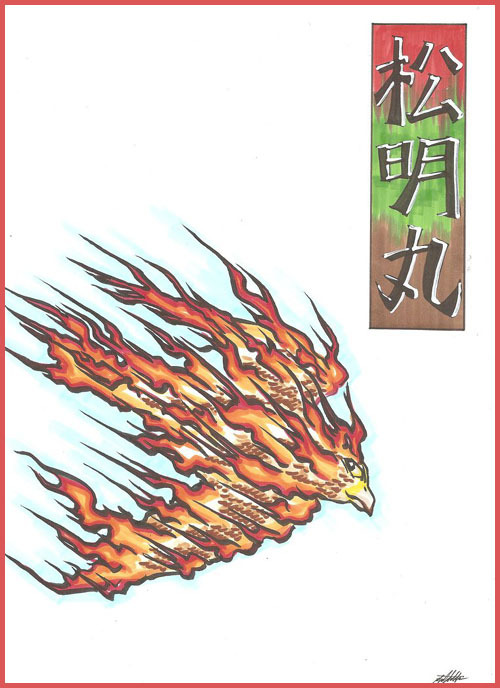 That night a Tengu appeared in the dream of the village headman, complaining they had taken away his resting places and he would punish the village with fire. And indeed, that evening a fire broke out and destroyed most of the village. This was the great fire on the 18th day of the 1st month in 1877.
on a rainy day, the Tengu could be heard beating the drum at 藤川谷 Fujikawatani. But now this sound is not heard any more. 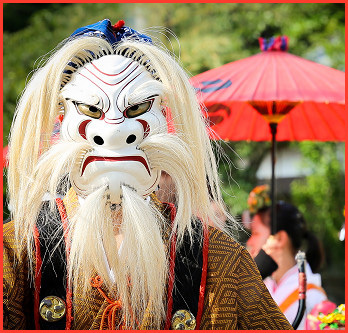 The 17th day of the 7th lunar month is 祇園祭 the day of the Gion Festival. 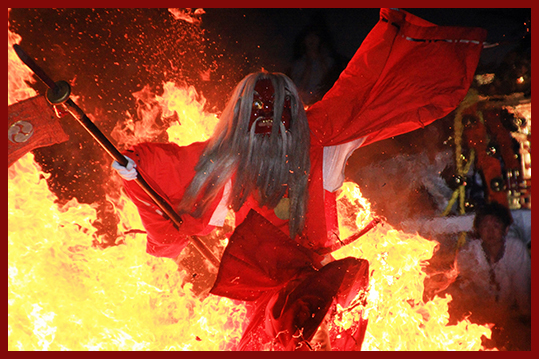 The villagers have to burn kagaribi かがり火 watch fires, otherwise they will be cursed by the Tengu. Once a man went to the mountain forest to make charcoal. He found a ball looking like a bundle of leaves hanging in the branches. He took a stick and hit it. All of a sudden there was a strange sound, a thunderstorm broke out and he could not go home that evening. When he came back home the next day, he fell ill. A diviner told him the ball of leaves was the mansion of a Tengu and he had been punished. The diviner then performed exorcist rituals.
. kasumiami, kasumi-ami 霞網（かすみあみ）net for catching birds . 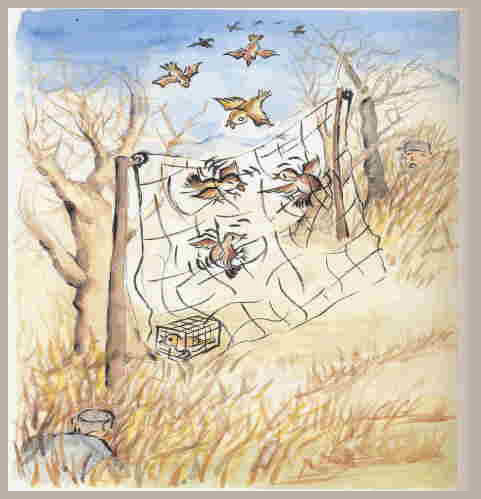 The villagers had put out a net for catching birds, when suddenly a strong wind begun to blow and something like large legs with blood dripping from them got caught. When they came closer, there was nothing in the net. It must have been a Tengu who had passed after all.
. Hakusan Jinja 白山神社 Shrines in Japan . In the forest of Hakusan Shrine, about twice a year there is the strange sound of trees breaking at night. But nothing is seen next morning. This must be the mischief of a Tengu, they say.
. kotengu, ko-tengu　小天狗 minor Tengu, crow-like goblin . Once a woodcutter was taking a bath in the mountain hut, when he heard a voice from a nearby tree. The woodcutter begun making booing noises to scare his opponent, but the other voice just laughed "I will remember this!" Next morning he found his large ax bent over and not to be used any more.
. Jigokudani　地獄谷 "Hell Valley" -- Jigoku no Tani 地獄の谷 . At the villages 朝日村 Asahi mura and 高根村 Takane mura there are sometimes cows found in places on the other side of a river or ravine, where there is no bridge. A Tengu must have kidnapped them and thrown them over there. Once a child, helping with the field work, was on his way home but got lost. They found it in a place where not even grown-ups can go easily. A Tengu must have kidnapped it and put it over there. 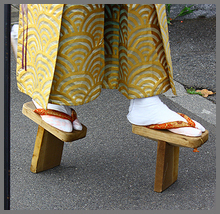 Once a man was taking off his shoes, when a man invited him to come along, if he did not want to be kidnapped by a Tengu. He followed the man, but he did not like the place where they were going. So after one hour he made his way back home. And there he realized - he had been away for 5 days, living with a Tengu after all. Once a little boy went missing on his home from the fields. A man coming over the pass 平湯峠 Hirayutoge said he had met him. The child had told him he had been kidnapped by a Tengu and learned a lot of interesting things. Now he could fly to any place where he wanted to be. 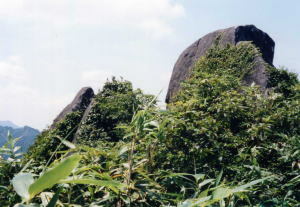 There is a rock, about 1.5 m high, which makes people go crazy when they touch it. Nearby lived a Tengu. If the Tengu is in a bad mood, he will throw people down the stone steps, some children had this experience, but they were never hurt. 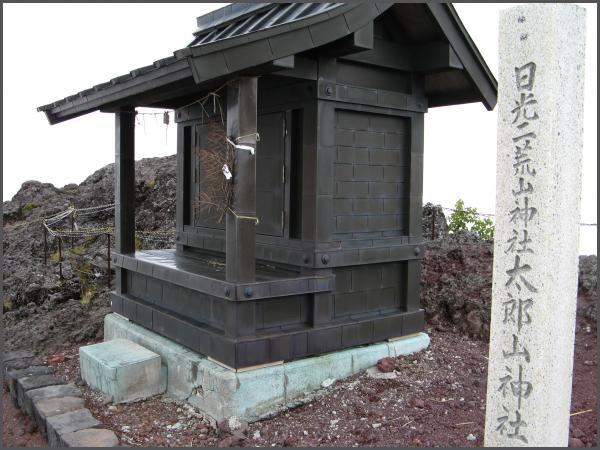 three houses close to Myojin Jinja had been destroyed by fire. Someone had seen a man with a red nose and face walking past, so they thought it must have been the Tengu causing the fire. In the year 1924, on a morning in June, a boy who had fallen into the pond of the shrine went missing. An oracle told the parents they hed to find him by half past eleven in the morning, otherwise his life would be in danger. Shortly before 12 they found the child high up on a mountain. This must have been the evil deed of a Tengu. There was an old man who had been with the famous 鞍馬山の天狗 Tengu of Kuramayama, Kyoto. He appeared all of a sudden, went into the 鉱山 mine and worked day and night. He could also tell ill people the reason of their problem. 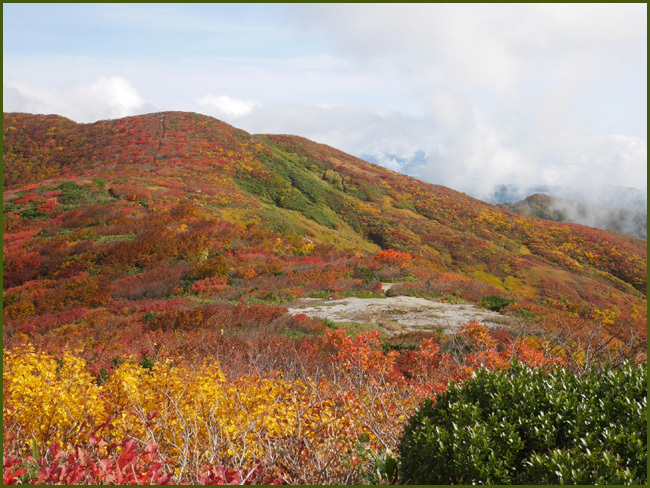 When the mine was closed, he said he was going back to Mount Kurayama. He was always clad like 山伏姿 a mountain priest.
. kami-kakushi 天狗と神かくし / 神隠し kidnapped by the Gods . In July of 1931, a farmer had gone to tend to his fields and never came back. He might have been abduceted by a Tengu or kidnapped by the Gods. They never made a funeral for him and still wait that he might come back. "I saw a man with a long nose wearing something red who told me to make a fire!" This must have been the local Tengu. Sometimes a Tengu comes to abduct a boy from the village. Tengu like children and if children go playing in the mountain forest, they might not come back. If the villagers go looking for them with flutes and drums, they often come back.
. Amanojaku 天の邪鬼 / 天邪鬼 Amanjaku - "heavenly evil spirit " . A Tengu seen as Amanjaku. Tengubi is created by kawa tengu—"river tengu" who prefer the riversides over the deep mountain valleys where tengu normally live. It is used by these tengu to catch fish at night. For this reason it is also known as tengu no gyorō ("tengu fishing"). included this phenomenon in his book Hyakki tsurezure bukuro under the name taimatsu maru (taimatsu meaning "torch," and maru being a popular suffix for boys' names). He described it not as a tool for tengu to help with fishing, but as a way for them to hinder and interfere with the religious practices of ascetic monks. It was a common superstition in that village not to go outside of your home on nights when tengubi appeared. 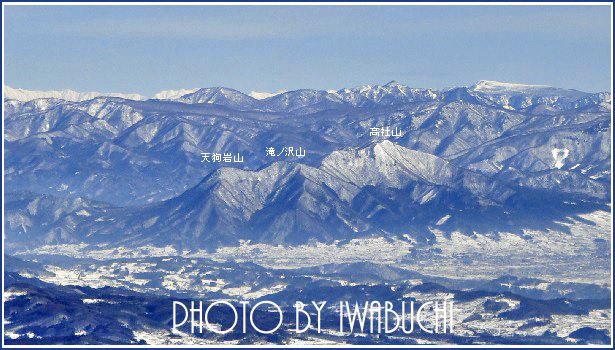 If you did, it was said that you would be spirited away into the mountains. One night a particularly foolhardy young man defied the superstition. He walked out of his house, faced the tengubi, and called out, "If you can take me, come and get me!" Suddenly, a large black shape appeared out of nowhere and grabbed the young man. It picked him up and flew away into the mountains. The young man was never seen again. 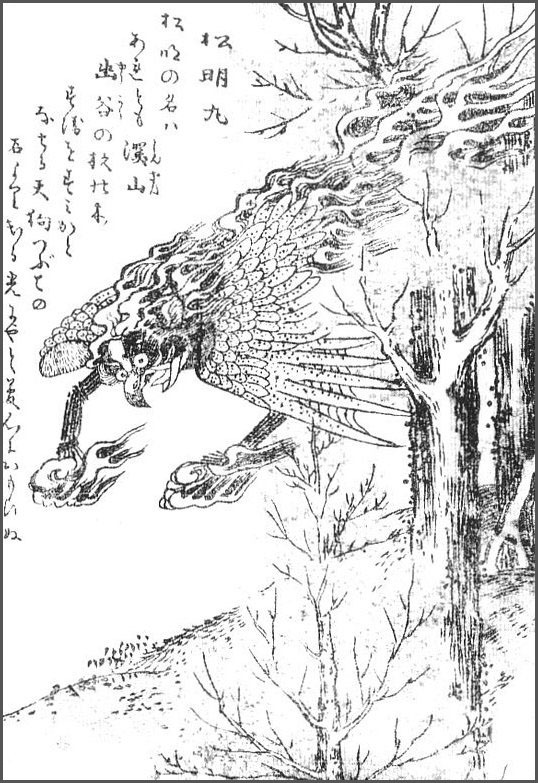 Tengu-daoshi 天狗倒し "Tengu knocking down trees"
Tengu masho 天狗魔所 "Monster Place of the Tengu"
. 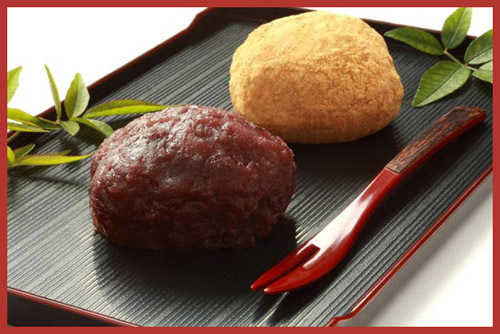 botamochi 牡丹餅 "Peony Cakes" . Once a hunter spent the night deep in the mountains and heared the sound of falling trees all night. Next morning when he went to check the place, there was nothing at all. Tengu-daoshi, Tengu daoshi 天狗倒し / テングダオシ "Tengu knocking down trees"
The sound of cutting down trees with a saw or ax is heard at night, but next morning nothing is to be seen. This refers to strange noises in a lonely forest. This phenomenon of a strange sound is especially known in 岐阜県 Gifu, 福井県 Fukui, 福島県 Fukushima, 茨城県 Ibaragi、石川県 Ishikawa and 埼玉県 Saitama. 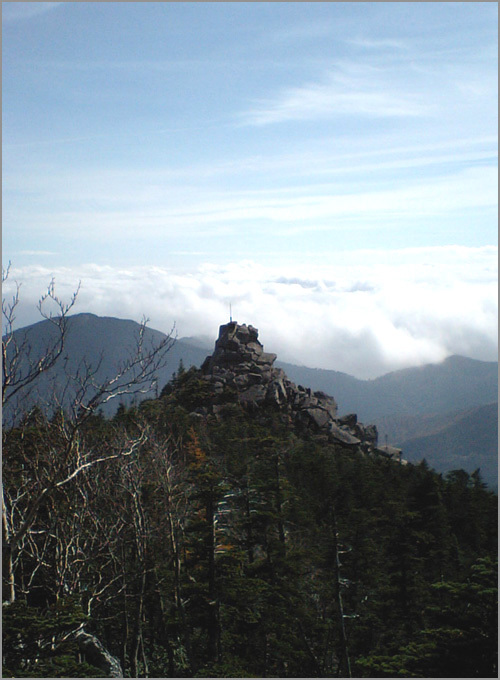 Tengu-daoshi and other strange events in the mountains is often considered to be the deeds of mountain gods or tengu in the eastern half of Japan, but in the western half they are considered to be the deeds of the Kappa yamawaro. 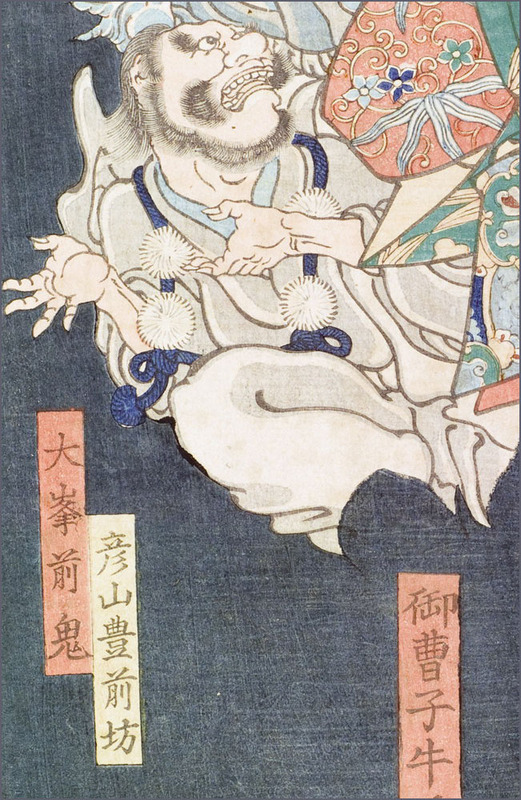 Phenomena such as the tengu-daoshi (sounds such as that of a large tree falling) are considered to be done by the yamawaro themselves, and in the Kumamoto Prefecture, other than stories where they would make falling tree or falling rock noises, there are also stories where they would imitate human songs and where they make sounds imitating mokko (a tool made of bamboo or woven grass for carrying heavy loads) dropping dirt or even the explosion sounds of dynamite. 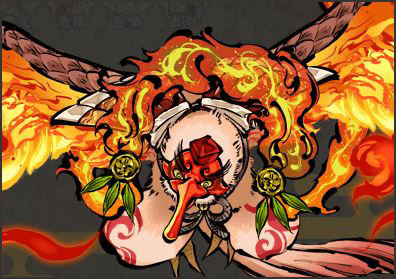 However, the tengu does not play no role at all in those regions, because in some parts, such as the Oguni in Kuamoto Prefecture, there are no yamawaro legends and they are instead considered to be the deeds of tengu. furusoma 古杣 Yokai "old forest worker"
A forest worker stayed at a hut in the mountains. He heared the sound of foxes and badgers kicking down trees and even Tengu doing this. He went out with a light in hand and on the spot all the spook stopped.
. Yama no Kami 山の神 God of the Mountain and Tengu 天狗 . A forest worker stayed at a hut in the mountains. 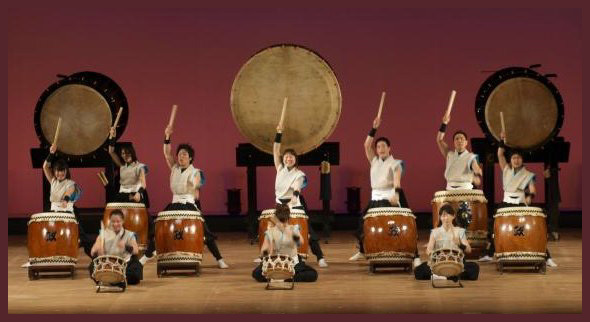 He heard the sound of a saw cutting trees, コンツ、コンツ kontsu kontsu kontsu, like an echo in the valley. It was really a strange experience. On rainy and cloudy nights at the foot of 三鈷室山 Mount Sankomuro san (863 m), the sound of felling a tree can be heard three times: バカン、バカン、バカン bakan bakan bakan. At night, at the foot of a swamp of 立割山 Mount Tatewariyama (767 m), a hunter's dog suddenly sat down. 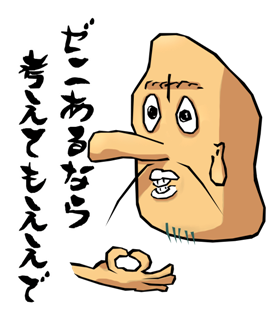 From the far end of the swamp the sound of パカーン bakaaan was heard, like soomwan using an ax to fell a tree a few times. Then a very strong wind begun to blow. The sound of cutting trees and trees falling down could be heard all night. But next morning they were all standing as before. If forest workers spent a night in a hut or a cave, they hear the sound of falling trees reveberating in the forest. Next morning nothing is to be seen. This is called Tengu daoshi, 空木倒し sora kidaoshi or Kikair-Bo. Related to the tales about 海姫 Umihime and 磯女 Iso-Onna, the female Yokai from the beaches. Around the 5th lunar month, if fishermen go out on a night with strong fog, they hear the sound of a boulder falling in the sea. They also hear the sound of trees falling or Tengu throwing stones.
. Tengu tsubute 天狗つぶて / 天狗礫 "Tengu throwing stones" . 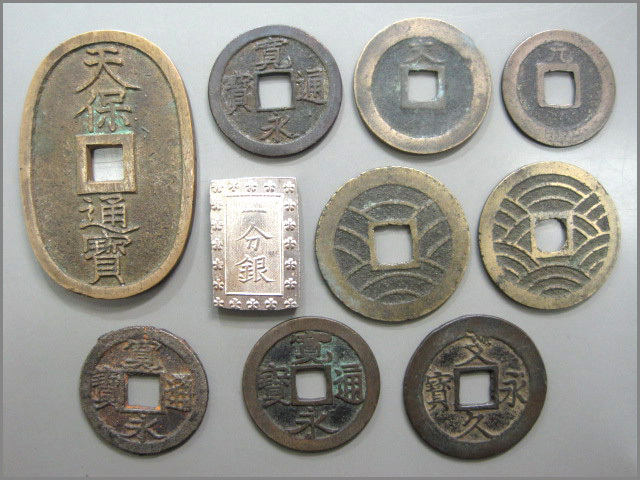 These tales are told by fishermen, who have to go out in the fifth lunar month, when there is fog on the sea. Iso-Onna is another name for Umi-Hime, princess of the sea. She is a Yokai of the souls of drowned people. They come to the beach on windless nights and ask the captain of a boat to bring back the soul of a drowned person. They are especially known in Kyushu. 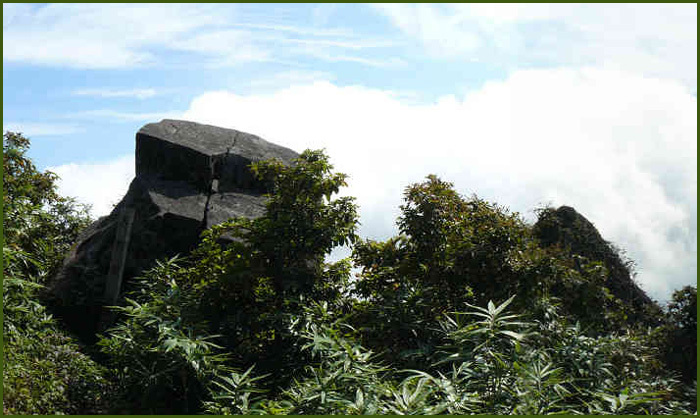 Especially in winter, villagers hear the sound of trees being cut down and boulders falling from the slopes. The sound of trees being felled is called Tengu daoshi, but on the 国東半島 Kunisaki Peninsula people say it is a badger with his long tail, banging on trees trying to fool people.
. Tengu no tooorimichi 天狗の通り道 / テングノトオリミチ road where Tengu pass . When 山崎助四郎 Yamasaki Sukeshiro was still a young man, he used to be a seko 勢子 helper of the local hunters. Once they passed cave in the mountain, there was a sudden sound all over the place. 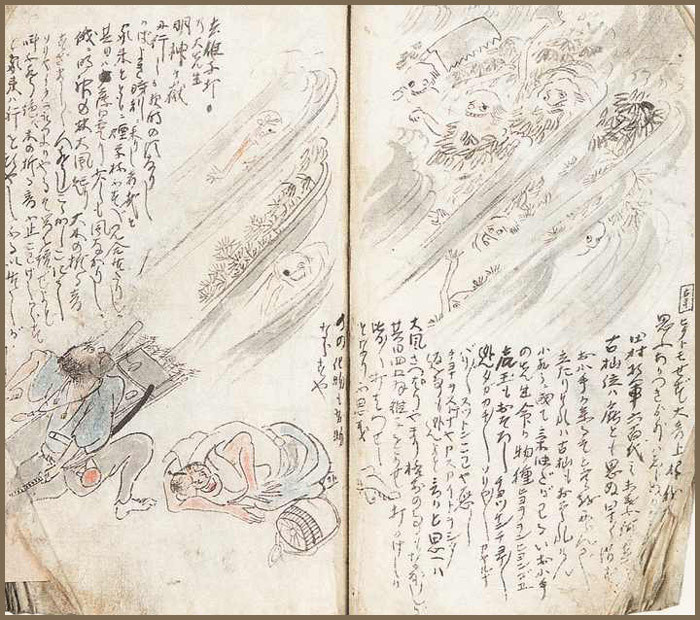 The surroundings became dark and they experienced a "Tengu knocking down trees". They all huddled down and covered the heads with their arms until the noise had stopped. Another hunter went out in the early morning when the kiji 雉 pheasants come out. While he was waiting in the mountain forest, there was a noise of "Tengu knocking down trees". He huddled down and fired his gun in great fear. There was a sudden silence. 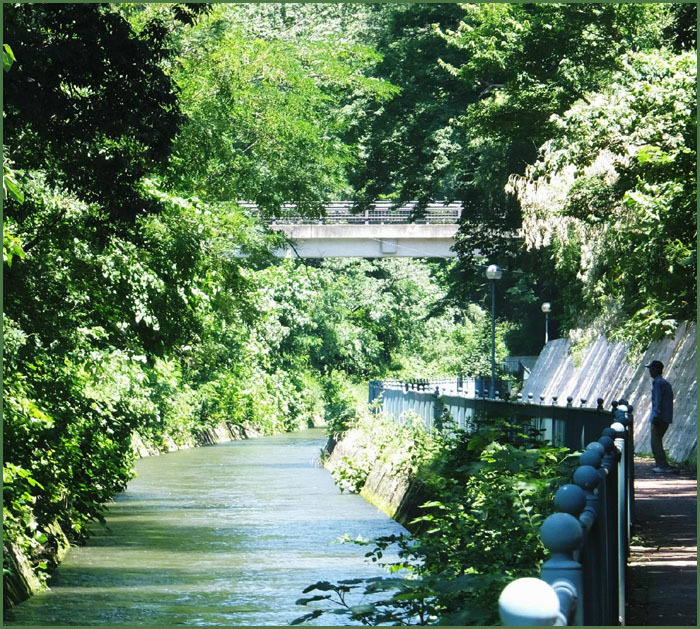 When it became light enough he went around seraching and found a kamo 鴨 duck shot dead. Now he knew that it was not the Tengu, but a flock of ducks that had made the noise.
. Tenguiwa, Tengu-Iwa 天狗岩 Tengu Iwa boulder .